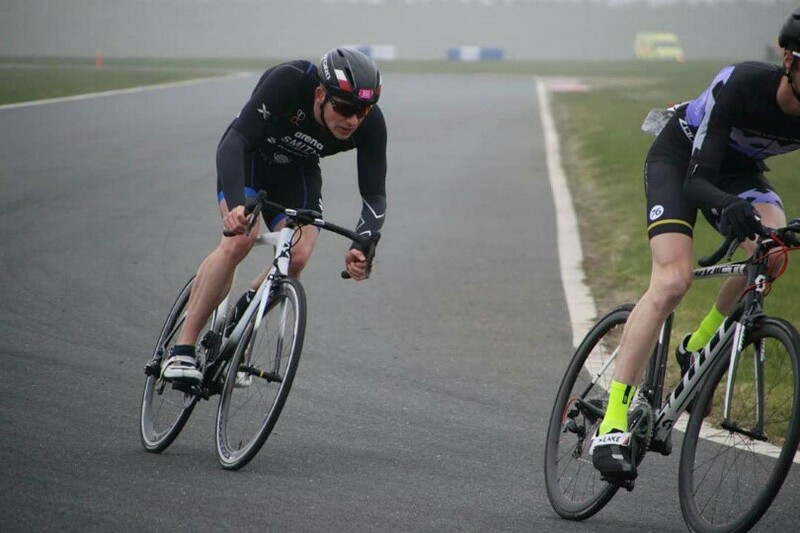 My first multisport race, the British duathlon Championships which was held down at the Bedford Autodrome. 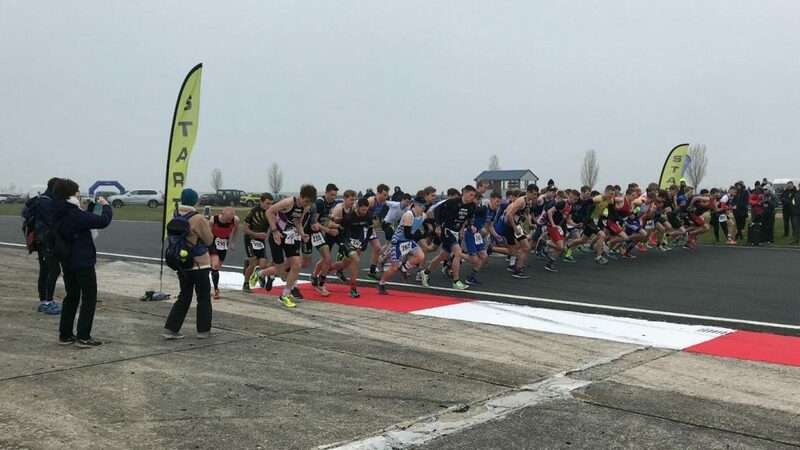 Sunday 7th April was the British Elite Duathlon Championships incorporating the first round of the British Triathlon Super Series and also my first elite race since 2016. Training had gone well, I felt I was in good shape coming into the event and thanks to sponsorship from Ribble Cycles I would be competing on a quality Ribble bike. I had my brand new arena trisuit freshly printed with my name and the logo of my sponsor Egan Associates; all in all I was raring to go! 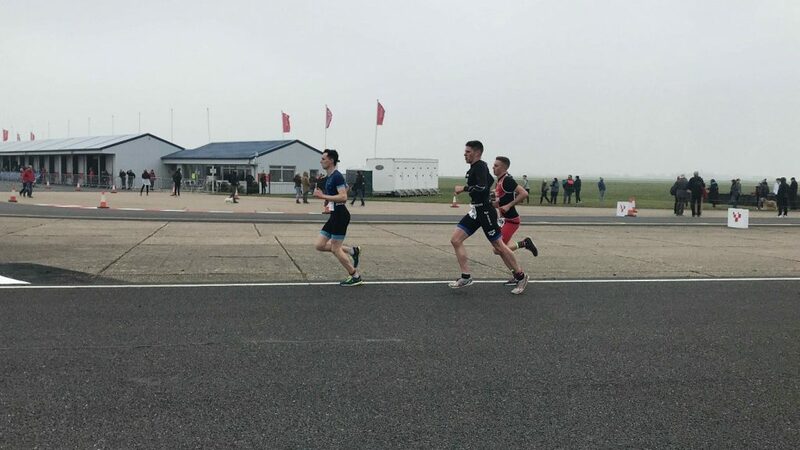 The motor racing circuit at Bedford Autodrome made a great venue with a flat but exposed two lap 5km run, transition in the pitlane, a four lap 20km bike course with a combination of technical corners and fast open straight sections before repeating the same run course. It was an overcast morning with a strong, cold wind but after setting up my gear in transition a couple of miles running soon got me warmed up. It was great to be back amongst plenty of familiar faces from previous elite races and several of the guys I used to train with in Leeds, but I was focused on what I had to do and executing my race. I was ready; the horn blasted and I reacted quickly and we were off, soon settling into a pace I felt I could maintain despite some fast starters and some very enthusiastic under 20s in the mix. A large lead group soon started to move clear but I was aware there’d be plenty of athletes pushing too hard to go hold that pace who would ultimately end up blowing up and coming back to me – I trusted myself. (There ended up being just five in the lead group on the bike). Through the second half of the 5km run I was in a small group and we started catching and passing a few stragglers and I arrived at T2 in 15:47, close to my 5km pb but with just enough intensity knocked off to allow me to ride 20km and run another 5km strongly. Trainers off, helmet on and I was heading to the mount line and was quickly on my bike and accelerated onto the wheel of another athlete. We soon started working well together and formed a group of four – we started to move through the field really well passing at least two other packs and several other pairs and lone riders during the first 10km. The strong headwind on the long back straight was a slog and the intensity of elite draft legal racing was certainly tough on the legs but I kept myself in a position to run well off the bike. After a quick T2 I was back out on the run course and the bric sessions from recent training helped me soon find my legs. I made up a few places over the 5km run and got two more in a sprint finish to come home in 15th position. I would have liked a top 10 but the standard was high and it certainly whet my appetite for the rest of the elite series and for continuing to work hard to move myself up the rankings throughout the season – roll on the triathlons and a chance to pull on my Arena Carbon Tri Wetsuit. A big thanks to Solo Sport supporting me with Arena UK kit, Ribble Cycles and Mark Egan of Egan Associates for supporting me in the 2019 season. Next up is the non-drafting Stockton Duathlon on Sunday 14th April where I’ll be looking to get on the podium and build on last year’s performance at the same event.